Analog Devices is a world leader in the design, manufacture, and marketing of a broad portfolio of high performance analog, mixed-signal, and digital signal processing (DSP) integrated circuits (ICs) used in virtually all types of electronic equipment. In the Analog Garage, ADI’s emerging business incubator and idea accelerator, we explore, nurture, and develop technologies that sense, measure and connect the physical and digital. Our mission though our voice user interface initiative is to enable every application to easily integrate robust and reliable speech input. Cirrus Logic develops audio and voice components that are Engineered to Rock™ the world’s top smartphones, tablets, digital headsets, wearables and other consumer and automotive audio products. Cirrus Logic and Sensory have partnered to enable SoundClear Control and TrulyHandsfree solutions that are featured in millions of mobile devices, resulting in a seamless and power efficient Voice Trigger and Voice Control user experience. DSP Group is a leading global provider of signal processing and wireless chipset solutions for converged communications. Leveraging 30 years of voice processing and RF communications expertise, DSP Group addresses the growing needs of emerging IoT, smart home, mobile, wearables and Wi-Fi markets. with a wide range of innovative solutions including always-on voice enhancements with ultra-low power consumption, voice enabled smart home, and unique RF CMOS capabilities. Fortemedia Inc., focuses on developing low-power class-leading technology for mobile phones, computing, personal audio, automotive and IoT applications, providing leading edge performance in voice quality enhancement to both hands-free, hand-held, and far-field voice communications. Intel is the world’s largest supplier of semiconductors. Sensory’s industry-leading TrulyHandsfree™ technology is available as a deeply embedded port on many of Intel’s latest SoC platforms targeting the PC, tablet and smartphone industries. For further information contact Intel. Knowles Corporation (NYSE: KN) is a market leader and global supplier of advanced micro-acoustic, audio processing, and precision device solutions. Knowles offers a full developer platform including a Software Development Kit (SDK), plugin-based framework, example plugins, Evaluation Module (EVM), compiler toolchain, test applications, optimized DSP toolkit libraries, and comprehensive documentation. The DSP SDK is based on the familiar Tensilica toolchain and includes a chip simulator environment for easy development and debugging. Partnering with algorithm, ASR, and NLU companies, Knowles is developing an ecosystem that is pushing the boundaries of audio processing and creates a new reliable user experience. For further information please contact partner@knowles.com. 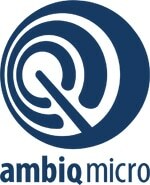 Microsemi’s Timberwolf™ audio processor, combined with AcuEdge™ audio enhancement software, creates a unique platform that provides significant improvement to Automatic Speech Recognition (ASR) for both embedded and cloud based ASR solutions. Microsemi’s Timberwolf™ and AcuEdge™ enhance the user experience for audio applications in connected home, IP cameras, set top boxes, wearables and many other applications. For more than 30 years, Qualcomm ideas and inventions have driven the evolution of digital communications, linking people everywhere more closely to information, entertainment and each other. Select Qualcomm DSPs support Sensory TrulyHandsfree voice triggers, phrase-spotting, and trigger to search functionality, as well as firmware implementations of LPSD. Qualcomm’s CSR devices support Sensory BlueGenie. Realtek Semiconductor Corp. is a world leading IC provider that designs and develops a wide range of IC products for communications network, computer peripheral, and multimedia applications. Since its founding in 1887, the Yamaha Group has developed its business activities focusing on musical instruments, audio products, electronic components, Yamaha music schools, and other products and services related to sound and music. NXP Semiconductors N.V. enables secure connections and infrastructure for a smarter world, driving innovation in the secure connected vehicle, end-to-end security & privacy and smart connected solutions markets. QuickLogic is a semiconductor company which provides ultra-low power voice and sensor SoC platforms combining multi-core processing, voice recognition, smart sensor management and programmable logic (FPGA) on a single device. These products enable always-on voice control, AI Cloud Assistants and concurrent sensor processing at substantially lower power than any other MCU-based device for differentiated smartphone, wearable, hearable, BT Speaker and IoT applications. XMOS is a fabless semiconductor company which specialises in natural human machine interfaces. We stand at the intersection between voice processing, biometrics and artificial intelligence; with our unique silicon architecture and differentiated software, we deliver class-leading far-field voice capture and audio solutions to the worldwide consumer electronics market. Accusonus is a high technology start-up focused on innovation in digital audio technologies. The company is developing embedded software products for speech enhancement that target the consumer electronics and hearing aid industries.. The company’s products are based on state-of- the-art patented and patent-pending technologies. The Focus Voice Module effectively reduces the perceived user-to-device distance when the user is away from the microphone. Our patented Focus Voice Module delivers a clear and comprehensible speech signal in applications such as speakerphones, smart devices (phones, tablets, TVs), microphone bars and IoT appliances. Alango improves the quality of voice recognition by reducing noise, enhancing speech, cancelling acoustic echo and dynamically equalizing signal volume and spectrum according to dynamic acoustic conditions. Alango technologies are used in Voice activated devices, Wearables, Bluetooth headsets, Cordless phones, Hands-free automotive systems, Conferencing systems, Intercom systems, Laptops, Mobile phones, and PC and Tablets. Alango’s Voice Enhancement Package (VEP) employs multi-microphone array technology (beamforming), echo cancellation, directional finder, and noise suppression to dramatically improve far-field voice pick-up and enable voice activated hubs or appliances to “hear” the voice in real world conditions with robust performance. Alango’s Stereo Echo Canceller (SEC) allows voice commands to be “heard” during music playback. Andrea Electronics Corporation designs, develops and manufactures array microphones and audio input algorithms for enhancing applications requiring high quality voice input. The company’s patented Digital Super Directional Array (DSDA™), Direction Finding & Tracking (DFTA), PureAudio™ and EchoStop™ far-field microphone technologies enhance a wide range of products to eliminate background noise and ensure the optimum performance of voice driven applications. Andrea’s DSDA is a multi-microphone adaptive beam former for directional far-field voice pickup. DFTA determines the direction of the desired voice signal and automatically steers the beam to it. PureAudio is a wide bandwidth digital noise reduction algorithm. EchoStop is a full duplex and stereo acoustic echo cancelling algorithm. DSP Concepts,Inc. is an all software Amazon Qualified supplier of microphone processing solutions. Our solutions are highly optimized for Cortex-A SoCs and Cortex-M processors and scalable for low powered hearable/wearable devices to high performance high end audio products. We can help you with front end processing technology to enhance better voice UI providing very high SNR interference noise cancellation of up to -30dB, mono and multi-channel AEC of up to -40dB. We also help customers get products to market faster with microphone array designs, hardware validation tools, real-time tuning tools, and factory calibration tools with our Audio Weaver development platform. DSP solutions are in well known leading brands and shipped in millions of products. We can help you create wind-noise reduction to playback enhancement solutions to make products that delight your customers. Limes Audio provides proven and patented technology for speech quality improvement, including acoustic echo cancellation and noise reduction. We also have the full range of expertise required to build complete endpoints, including hardware, for voice control or conferencing applications. Limes Audio’s TrueVoice software has excellent performance as a pre-processor for voice activation during music playback (barge-in functionality), in noisy environments and in far-field applications. Functions include acoustic echo cancellation, non-linear processing, noise reduction, automatic gain control, automatic microphone mixing and beamforming. Please contact Tord Nybleus, VP Sales, for more information related to your intended application. 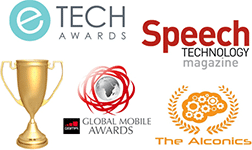 Meeami Technologies, a spin-off of the former media processing and real-time communications group of Imagination Technologies, is the recognized leader in IP Communications and Voice IoT technology platforms for voice, video and messaging applications. • ClearVoice offers industry-leading advanced far-field voice processing software for Voice IoT applications like Amazon Alexa (AVS) and other similar VPA/Personal Assistant AIs like Microsoft Cortana, Google Assistant, and other voice-based UI/UXs. The ClearVoice softDSP far-field audio front-end (FF-AFE) software provides multi-mic beamforming, AEC, Noise Cancellation for voice enhancement of ASRs. MightyWorks specializes in audio and voice processing technologies for mobile, automotive, Bluetooth accessories and home assistant applications. MightyWorks has provided SRE™(Speech Recognition Enhancer) technology, which improves speech recognition success rates in automotive and mobile environments by up to 50%p. MightyWorks also offers AudioZoom™ technology for smartphone, which captures the sound from the desired direction, while reducing interfering sounds. Philips BeClear Speech Enhancement technology delivers crisp and clear premium voice quality. It enables relaxed and effortless communication for cutting edge voice applications including long range voice control of Smart Home appliances and conferencing devices. For more information on Philips’ Licensing Program please refer to the website. Retune DSP develops and license advanced multi-microphone audio and voice enhancement technologies for mobile devices and consumer electronics. The Retune “All-Ears” Voice Suite algorithms are designed to be used as a front-end to personal communications systems and voice control systems. The voice suite consists of a multi-channel echo canceller stage, and a combined beamforming/noise reduction stage. The Arm comprehensive product offering includes 32-bit and 64-bit RISC microprocessors, graphics processors, enabling software, cell libraries, embedded memories, high-speed connectivity products, peripherals and development tools. Combined with comprehensive design services, training, support and maintenance, and the company’s broad Partner community, they provide a total system solution that offers a fast, reliable path to market for leading electronics companies. CEVA is the leading licensor of signal processing IP for a smarter, connected world. We partner with semiconductor companies and OEMs worldwide to create power-efficient, intelligent and connected devices for a range of end markets, including mobile, consumer, automotive, industrial and IoT. Our ultra-low-power IPs include comprehensive DSP-based platforms for audio/voice/speech and ultra-low power always-on/sensing applications for multiple markets. Synopsys accelerates innovation in the global electronics market. As a leader in electronic design automation (EDA) and semiconductor IP, its software, IP and services help engineers address their design, verification, system, and manufacturing challenges. Its broad, silicon-proven DesignWare® IP portfolio for system-on-chip (SoC) designs includes logic libraries, embedded memories, embedded test, analog IP, wired and wireless interface IP, security IP, embedded processors and subsystems. The SAMSUNG ARTIK platform has been developed through work led by the Samsung Strategy and Innovation Center (SSIC). SSIC is a global organization with the core missions of open innovation in collaboration with entrepreneurs and strategic partners, investments in disruptive technologies and startups, and new business creation through M&A and partnerships. With offices in Silicon Valley, Korea, Israel, France and the U.K., SSIC’s focus areas include cloud infrastructure, smart health, Internet of Things, and smart machines.